The first time I heard about rubber banding and learnt from fellow Shopifiers what it means. 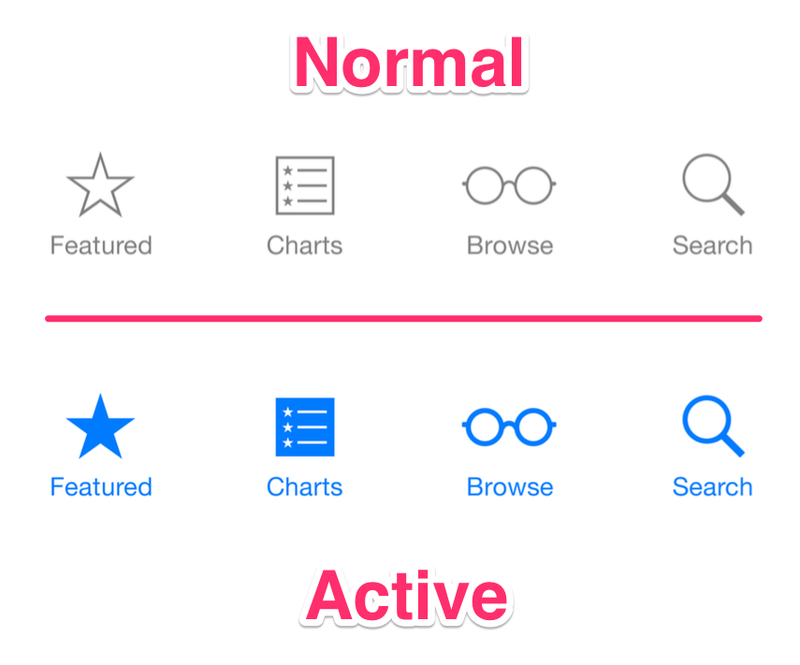 So instead of designing a new icon—one that's also either filled in, or has a different width like the ones shown in the previous example of the iOS tab bar—we just use the off state, but we tint it red, and we put that into the interface. Now here is where I had my Aha! moment: just as a common practice, Mike suggests to take a screenshot of your app, and to bring it into the graphic design tool of your choice, then desaturate it, and make sure that you can still clearly see state and selection. Right off the bat, you can see that the selection is a lot less obvious. And it's really not obvious if you're color blind.